We were so close to a lovely 12/1 5fold landing on Saturday but had Harry Kane to thank for nabbing us a 14/5 winner on Sunday when his Anfield equaliser snatched a draw for us, and Spurs. Tottenham take on Arsenal in the Saturday lunchtime kick-off, and I’ve tipped up 9/1, 9/2 and 21/20 selections in the Spurs v Arsenal Big Match Preview right here. It’s been a decent start to the year overall with winners at 16/1, 15/2, 11/2, 4/1, 14/5, and 7/4, but I could do with a few more accas coming in. Hopefully this weekend will turn things around on that front. I managed to get both this weekend’s Win 5fold and BTTS Acca on at 17/2, so if either or both of them land we’ll be sitting pretty. 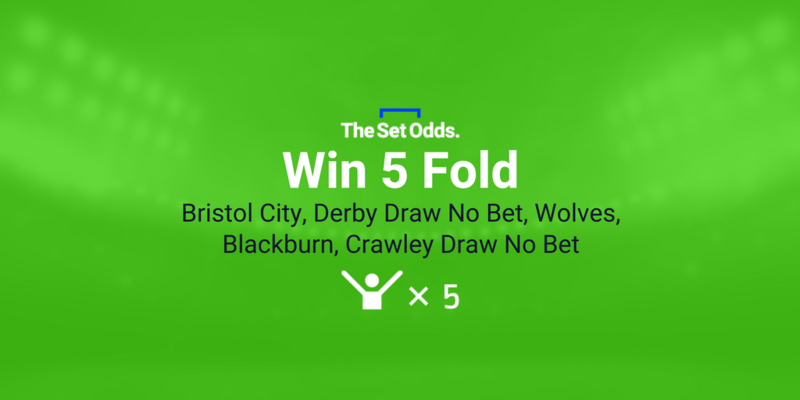 In the Win 5fold I’m placing my faith in three of the Championship’s big hitters, Bristol City, Derby and Wolves, who face Sunderland, Norwich and QPR respectively. The Robins haven’t been in great form of late but are due a decent home win, and Sunderland are terrible. I like Derby at odds-against at home to an improving Norwich side, and Wolves shouldn’t be tested too much on their own patch by QPR. I’m restricting this weekend’s Lucas Joao to just two selections after being close to getting four right a few times this season, but not close enough. 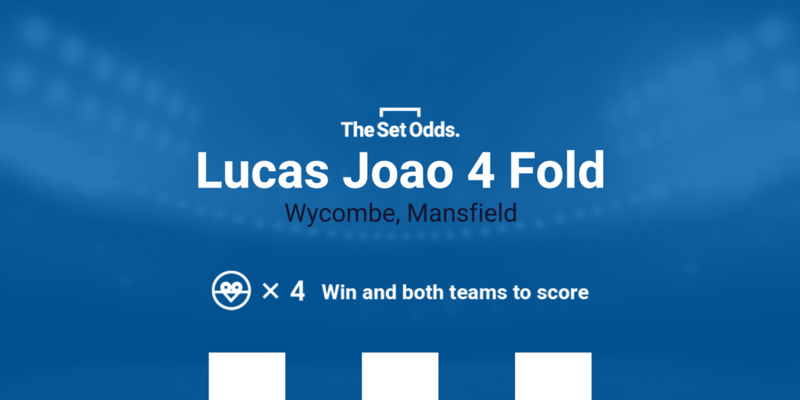 Both Wycombe and Mansfield have won while conceding recently and face tricky away ties at Exeter and Swindon respectively, but I fancy them to do the business. I’m having a couple of FGS bets this Saturday after tasting some success on the market in recent weeks. I’m backing Derby’s Matej Vydra to net the opener in their home game against Norwich. He’s 9/2 to do so with Bet365 (bet HERE) and I like the look of him 0.5pts each-way with half of the stake going on him netting first and other half on him scoring anytime at a third of the odds. For my second choice I’m siding with Billy Kee of Accrington doing the business at Coventry on Saturday. The Northern Irishman has been banging them in for fun for Stanley this season, takes their pens, currently tops the League Two scoring charts, and seven of his 18 League goals have been the first of the match. Cov don’t exactly have a watertight defence so 5/1 each-way at Bet365 (bet HERE) for a third of the price looks decent enough to me. I’m sticking 0.5pts e/w on. If you’re lucky enough to be crawling into your warm, comfy bed in the early hours of Sunday morning, spare a thought for the die-hard Bournemouth fans travelling to Huddersfield. Those being picked up in Weymouth and travelling on the club’s official supporters’ transport will board their coaches at 1.45am – that is no typo – for the Cherries’ midday kick-off in Huddersfield. While no one could blame them for being half asleep during the game, I think Bournemouth’s travelling support will be kept wide awake by all the cheering they’ll be doing. 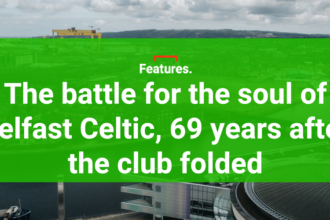 I like the look of them to bring all three points back down south on that long journey home. They’re 7/5 with Betway (bet HERE) and I’m sticking 1pt down on them as my Single of the Week.